Lisa Maddox is originally from Naples Florida. She was the former Director of Customer Service and Data Integrity for a national medical billing company. In 2012 Lisa relocated to St. Petersburg to join our staff as a legal assistant. After two years, she took a leave of absence to pursue her bachelor’s degree in Business Administration at the University of Georgia. While attending college, Lisa worked on the political campaign of a lawyer running for District Attorney of a local circuit. She designed and organized all the marketing initiatives, analyzed voter data, and managed all the campaign finances and legal campaign filings. 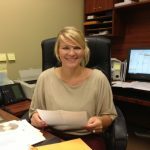 In early 2017 Lisa rejoined our office as our Client Outreach and Marketing Coordinator. Her previous experience as a legal assistant at our office provides her with a terrific foundation to assist our clients and serve as a liaison with our local criminal justice system. As the Client Outreach Coordinator, her extra level of service often results in “peace of mind” to our clients. The attorney-client privilege extends to Lisa and all information you provide her will remains protected and confidential. She works closely with the attorneys in our office. For these reasons, you should always feel comfortable in reaching out to Lisa with any question that may develop during your legal representation. Our law office strives to keep our clients up to date with changes in the law. Lisa will routinely notify you about legislative updates that could affect you or a family member. She will likewise provide you with online law enforcement alerts that include such information as speed enforcement traps and advanced notice of DUI checkpoints. Lisa will be your online connection for these purposes while your case is active and after it is fully resolved. 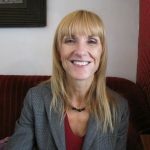 For these reasons, you can anticipate a long term benefit from Lisa’s involvement in your case. Christopher is a fifth-generation Floridian born locally in the Tampa Bay area. He is in his final year as a law student at Stetson University College of law in St. Petersburg. Christopher is a member of Stetson’s Student Veteran Organization and contributes much of his free time as a Veteran advocate helping with Veteran needs. In the community, Christopher performs pro-bono hours at the Bay Pines VA hospital, is a member of Congressman Bilirakis’ Veterans Advisory Committee, and is an advisor to the founder/CEO of the Veteran’s Alternative, a group that helps victims of Military Sexual Trauma and Post Traumatic Stress. Prior to law school, Christopher spent eight years in the Army National Guard. During his time in service, Christopher served the state of Florida as a team leader in providing hurricane disaster relief for those most affected by hurricanes Charley, Ivan, and Gene. Later in his military commitment, Christopher deployed to Afghanistan in support of Operation Enduring Freedom. There, Christopher was tasked as the Non-Commissioned Officer in Charge of Transportation for Forward Operating Base Lightning. His military experience has made him very comfortable in handling difficult situations and dealing with complex problem solving. After his deployment, Christopher went to school locally at Saint Petersburg College where he received a bachelor of science degree in Public Policy and Administration, graduating with honors. As a law clerk, Christopher’s duties include legal research, the drafting of memoranda of law, and the organization of case materials for the attorneys’ review. He will, at times, also attend court proceedings with the lawyers in order to learn more about the criminal justice system and to assist them in providing a high level of service to their clients. Christopher will help attorneys to coordinate clients’ appearances in court as wel as assist clients in finding their way around the Pinellas County Criminal Justice Center. As a member of our staff, the law extends to Christopher the attorney-client privilege. Anything that you say to Christopher regarding your case is kept in strict confidence. Accordingly, if you have a question or concern, please feel free to speak with our law clerk when you call. He can make sure that any significant facts or concerns that you might have are made known and are properly addressed. Our office utilizes MyCase, a cloud based software, to give our clients direct access to their file. The portal allows our clients to upload documents and media files, review upcoming court dates, send messages and notes directly to their attorney or a member of our staff, and access documents shared with them. The attorneys and staff in our office also use the MyCase app on their smart phones so that client messages and documents can be accessed even while they are out of the office. Respected courtroom testimony regarding our client’s amenability to treatment and potential for success in the context of sentence mitigation and avoidance of incarceration in the Pinellas County Jail or State Prison system. An argument to the judge in your case, that the best interests of justice support a resolution that entails counseling and/or treatment, as opposed to incarceration in the county jail or state prison system. Dr. McClain received her doctorate degree in 1992 from the Florida Institute of Technology. She is Board Certified in Forensic Neuropsychology and is also a Board Certified Forensic Examiner. The doctor is a member of the International Neuropsychological Society and was honored in the past to receive the “Outstanding Caregiver Award” from Epilepsy Services. Dr. McClain provides credible objective testimony for the court’s consideration and can be an intregal part of insuring a fair and just result. She has testified in an “expert” capacity on countless occasions in the Pinellas County Criminal Court system. Charles Lukey’s experience began many years ago as an investigative reporter where he ultimately became the recipient of the coveted U.P.I. News Investigator of the Year award. 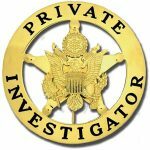 He later founded Gator Investigators and has since been the leading detective in many high profile cases arising out of Florida’s West Coast area. Although his organization is headquartered in in St. Petersburg, he has investigators strategically located throughout the entire State of Florida. His firm specializes in criminal, arson, and domestic issue investigations, but he is often retained in anticipation of civil litigation as well. Charles holds a Class A agency license, a Class C private investigator license (Florida’s highest level of licensure), a Class G statewide firearm license, a concealed weapons permit and a Master Mariner License. In addition to his past military experience, he holds various firefighting, first aid, and first responder certifications. Because of Mr. Lukey’s extensive investigative experience and varied background, he has been invaluable at times in uncovering exculpatory or mitigating evidence on behalf of our clients. Rick is an accident reconstruction specialist and DUI consultant. He is a former Sheriff’s Deputy and law enforcement instructor. He has been declared an expert in court over 600 times and provides effective testimony in connection with the operation and flaws of the Intoxilyzer 8000 breath testing machine. Rick holds a Masters degree from the University of Miami in the area of Technology and Engineering. He has published numerous articles associated with breath testing, field sobriety tests and the investigation of accidents involving impaired drivers. Rick has been a featured speaker at Emory University, Harvard Law School, and at numerous other seminars and lectures across the United States. Jill attended the University of South Florida at the Tampa campus and majored in adult vocational education. 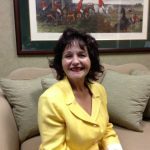 She went on to be an instructor of floral design and marketing at Pinellas Education Center (PTEC). 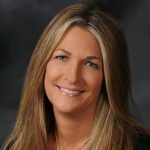 Jill later spent nearly twenty years at multi-national company FTD, where she served as a Business Consultant for over 400 retail floral shops. 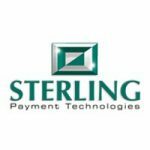 Today, Jill is a Sales Manager for Sterling Payment Technologies. At Russo & Russo, Jill is responsible for maintaining client trust accounts, paying for costs associated with their defense and keeping our clients up to date with respect to any financial obligations associated with their case. Our office employs Answer First Communications to insure that we are available to you 24 hours a day, seven days a week. The professional staff at Answer First will take your information and promptly send a text message to the attorneys. This will insure that your call is returned quickly, after hours or on a weekend or holiday. Answer First has been serving law firms since 1985. The company built their Tampa Bay call center in 1999 and has maintained it with state of the art computer and telephony hardware. Their infrastructure entails both virtual and cloud based computer servers that guarantee stability and data redundancy. Messages from our clients are archived and available to us in real time through their web-based interface. Our twenty-year partnership with Answer First has allowed us to stay connected with both new and existing clients outside of regular business hours. The premier services we secure from Southern Telephone Systems not only insures reliability with our communication needs, but also keeps us on the technological edge of products that can better serve the needs of our clients.